We’d love your help. 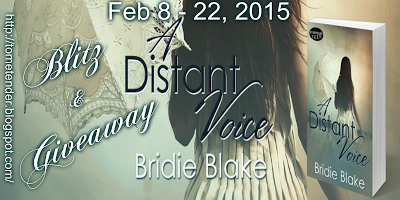 Let us know what’s wrong with this preview of A Distant Voice by Bridie Blake. • How do you In life you don’t find your voice. It finds you. To ask other readers questions about A Distant Voice, please sign up. We can't go back, but we can move forward...What does a teen do after her life has been completely shredded, uprooted and is now on a downhill freefall through the brambles of life, young love and the desire to be “normal?” Violet can barely remember the last time she actually felt happy, carefree and loved participating in life. She is the self-appointed backbone of her family, the strong one, the one who tries to make up for non-existent shortcomings and the only friend her sister has. Whatever Rose wants, Violet will do, after all she owes her depressed sister for a perceived debt. Heaven knows her absent father isn’t about to help and her mother has been part alcohol induced zombie, part recluse since her father walked out on them. Rose was the pretty one, the smart one, the one every guy wanted and every girl wanted to be like, and she was kind, understanding and the best big sister a girl could have. Her fall into deep depression meant it was Violet’s turn to be the “big sister” and she took it to heart, going as far as forsaking her dreams and suffering within for the sake of others. When they had moved to Grandma’s from the big city to Smalltown, America, violet struggled to maintain her distance from everyone, even if it meant constantly showing her prickly side, but two people ignored that part of her and one broke down every barrier she had devised. Violet was feeling young love for the first time with class all around great guy, Carter and she almost let herself forget Rose, even if it was just for a couple of hours, but she knew that was all it took to let Rose down. How can Violet ignore her heart, hurt the boy that means so much to her without letting her sister down again? Bridie Blake’s A Distant Voice follows Violet through the devastation that depression can wreak on anyone near the victim, how the mental and emotional nightmare can destroy the strongest of humans, relationships and lives while causing guilt to build in those closest to them. How that guilt manifests is unique to each person affected. Follow Violet’s journey through the shadow of guilt, loss and the inability to let go and move on. Violet is actually a very endearing character, her emotions are not hidden from the readers, just those around her. And Carter? Let’s just say my first impression wasn’t a real good one, but he has his own demons to fight and when he let his guard down, he was exactly what violet needed, if only she would let him in, completely. Ms. Blake has written a powerful tale of a painful journey that could very well be real. Each character is well-developed, unique and feels life like in the world she has built for them. Some are quirky, some are sad, some are adorable, just like in real life. Bridie Blake shows us that it is okay to live, love and laugh, to own who we are and to feel each moment to the fullest. Grab a few tissues, Ms. Blake is going to break your heart, raise your blood pressure and make you sigh. That is good writing! I received this copy from Bridie Blake in exchange for my honest review. A DISTANT VOICE broke my heart. I just wanted to reach into this wonderful story and give Violet a great big hug. She is just a kid and her life and world have been turned upside down and left her devastated and lonely. After a tragedy in her family occurs she leaves Chicago and moves in with her grandmother in Tennessee. Violet is struggling with keeping it together. Her dad left and ever since her mother is not getting out of bed and has shut down. Violet's grandmother was a famous singer but she was a drunk and doing drugs and after one bad performance she walked away from it all. Violet loves to sing but is afraid to end up like her grandmother so she leaves it all behind even if it makes her the happiest. She feels as if she is happy her family will think she is being selfish and that just breaks your heart while reading A DISTANT VOICE. Violet doesn't believe that she deserves to be happy ever again, not like she was with her sister Rose. Rose was her whole life, all she wanted to do was make her happy. Birdie Blake made me feel the exact way Violet was feeling, my emotions were all over the place while reading A DISTANT VOICE. Once I started reading, I couldn't stop. Would Violet ever find her happy place? Would she ever feel she deserved to be happy? Would she ever stop putting up walls and pushing away everyone who truly cares about her? There are some books that touch your heart so deeply, and A Distant Voice is one of those books. 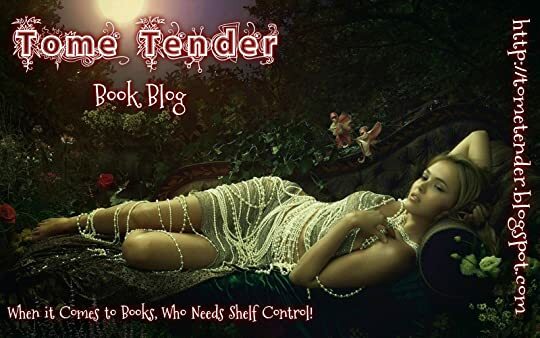 Bridie Blake did an amazing job making the reader feel the emotions, there was some difficult subjects and she handled them so well. It's a wonderful story about family, friendships and mental illness. This story has so much depth and truly speaks to the heart. I definitely highly recommend this one!! This indie author is a treasure worth finding! It’s a favorite of mine!! 5++ Stars!!!! Wonderful, heart wrenching story about family,relationships and mental illness. *I received a copy of this book in exchange for an honest review*. Highly recommend if you enjoy YA! The story is about the mental illness, family, healing and relationship. Rose and Violet are the sibling that have struggling with family’s problems. Rose is a perfect daughter, good grades, polite, funny and beautiful. Violet put Rose happiness before her own and she tries to be good and perfect as Rose but she cant. Violet always live in Rose’s shadow for all this time. The fact that her dad walk out from their life to live with another woman and stress mother drag her into the state of depress The story is about the mental illness, family, healing and relationship. Rose and Violet are the sibling that have struggling with family’s problems. Rose is a perfect daughter, good grades, polite, funny and beautiful. Violet put Rose happiness before her own and she tries to be good and perfect as Rose but she cant. Violet always live in Rose’s shadow for all this time. The fact that her dad walk out from their life to live with another woman and stress mother drag her into the state of depression. I hate they way Violet push away people from her life and the depression she feel but it happen with a reason. I feel so sad when know the truth. Life isn’t meant to be lived in isolation no matter how hard you’ve convinced yourself it is. I love the book, the emotion touch my heart, like I can really feel the feeling. When I first started reading this, despite how much sympathy I felt, I just could not get myself to like Violet. I was really annoyed with her. She was very dismissive of anyone that attempted to make conversation with her, or just glanced at her, for that matter. But... I can't get too upset over that. Violet has been through a lot, her remaining family isn't exactly ideal, and she is going through a big change in her life. I I received a free copy of this book in exchange for an honest review. When I first started reading this, despite how much sympathy I felt, I just could not get myself to like Violet. I was really annoyed with her. She was very dismissive of anyone that attempted to make conversation with her, or just glanced at her, for that matter. But... I can't get too upset over that. Violet has been through a lot, her remaining family isn't exactly ideal, and she is going through a big change in her life. I understand why her character started out the way she did, as much as she annoyed me. At her age, she should not have to go through the things she is going through. It isn't fair to her, she should be able to follow her dreams and not have to worry about her family as much as she does. A Distant Voice pulls you into the depths of depression and alcohol abuse. There is luckily sunny spots amidst the darkness, but parts are really painful to read. For me, as a mother, Violet's feelings often broke my heart for her. I hope that my son never fells those things. Very realistically written and geared for the young adult audience. solid 4 stars. *I received a copy of this book for free from the For Love of Check out my blog to see Reviews of Book and Movies, and check out some Recipes! This book was looking to be a 2 star read near the start. I struggled a great deal to like and appreciate Violet, but as it went on a lot more became clear. I do think that the start of the book needs a bit of work though, as I honestly thought Violet was an ungrateful little git for too long. This book is about mental health, abuse and family. It is about how we deal with trauma and about growing up and livi I received this book for free from the author in exchange for an honest review. This book was looking to be a 2 star read near the start. I struggled a great deal to like and appreciate Violet, but as it went on a lot more became clear. I do think that the start of the book needs a bit of work though, as I honestly thought Violet was an ungrateful little git for too long. This book is about mental health, abuse and family. It is about how we deal with trauma and about growing up and living our lives despite it. Mental illness is portrayed realistically in the book, although the worst is merely spoken of, not experienced by the reader. This frustrated me a bit, as Violet seemed to be exaggerating, but it made more sense as we went on. I absolutely adored Gran and the other supporting characters in this book. Sally, while actually irritating, is a genuine sweetheart. I'm really sad that we didn't get to see more of her and Marcus. Carter's family were fascinating too, and I could understand the frustration he felt at his family situation. What a poignant story about family, grief, love and new beginnings. The O'Connor family struggles with mental illness and addictions- generations of it. Ms. Blake demonstrates through her writing how this difficult subject matter affects each family member's perceptions of their part in keeping the family together and the burden of trying to keep everyone else happy, even putting others' happiness before their own. The psyche of I received a free copy of this book in return for an honest review. The psyche of Violet, a high school senior, is tested as she tries to make sense of the events of her life and find hope that she can have a happy future and follow her own dreams. She must first learn to trust herself and take the chance of opening up to those around her- to make connections again and a chance at life. And this is the scariest thing she can imagine. With the help of some strong women and a good group of friends, Violet may see her dreams come true. The characters in this book seem like very real teenagers. They all have different problems to deal with. The main character, Violet, has to deal with moving to a new town after her father left, her mother began abusing alcohol, and her older sister attempted suicide while in the midst of a devastating depression. I like that this book referenced a lot of different music. It would make a good soundtrack! I think this book will really speak to teens. I received a free copy of this book in exchange The characters in this book seem like very real teenagers. They all have different problems to deal with. The main character, Violet, has to deal with moving to a new town after her father left, her mother began abusing alcohol, and her older sister attempted suicide while in the midst of a devastating depression. I like that this book referenced a lot of different music. It would make a good soundtrack! I think this book will really speak to teens. 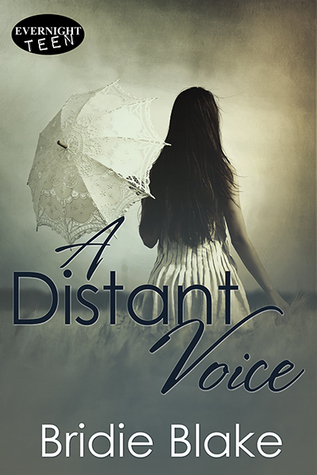 A Distant Voice is a beautifully written YA story about friendships, mental illness, family, and grief. Throughout this book I felt I was with Violet in a dark, cold cave on a roller coaster ride. I just wanted to wrap my arms around Violet and assure her this ride would end with brightness at the end. Thank you Birdie Blake for your writing style with this novel. Violet Hayes struggles through life. Her father walked out on her leaving her to deal with her mom and her sister Rose all alone. Ever since her father left her mom is not leaving her bed, let alone the house and Rose mostly doesn't even leave her room. They pack up their stuff to live with her grandmother Iris in a small town called Wandorah. Iris O'Connor once was a very famous singer but her career went out like a flame after a performance that went bad. Violet has a lot to deal with. Her moth Violet Hayes struggles through life. Her father walked out on her leaving her to deal with her mom and her sister Rose all alone. Ever since her father left her mom is not leaving her bed, let alone the house and Rose mostly doesn't even leave her room. They pack up their stuff to live with her grandmother Iris in a small town called Wandorah. Iris O'Connor once was a very famous singer but her career went out like a flame after a performance that went bad. Violet has a lot to deal with. Her mother is depressed and her sister Rose wants her all for herself. This results in Violet pulling back from the rest of the world. She doesn't think she needs or deserves friends. Happiness isn't in her cards either so she pretty much keeps to herself. Unlucky for her, Wandorah has some great residents who are not willing to let Violet fade into the background. Sometimes you read a book that you feel all the way to the middle of your heart. A Distant Voice is one of those books. Violet is beating herself up for the tragedies that happened which she could do nothing about. She feels selfish and puts herself aside for her family members who need her. I felt for her! Such a young girl who has to endure so much. I was rooting for her to find her own voice again and to understand that she can be who she wants to be without feeling guilty. Some of the events in this story were really difficult for me to read about because they hit very close to home. I never saw the ending coming. It surprised me and brought me to tears. I finished this book literally with tears in my eyes. Bridie Blake did an amazing job with making the reader feel the emotions and she doesn't shy away from difficult subjects. This is an author I will keep following and I am really looking forward to be drawn into her world again. I didn't realize how much I loved this book until I was nearly done with it. I couldn't put it down. From the second I started reading yesterday, I hated not being able to read it nonstop to the end. I woke up and read a little before I went to work, read through my hour lunch, and by the time my last break at work was ending, I had finished the book and seriously wanted to weep. I was surprised by how emotional I got over it; I had to turn my back to co-workers because I really didn't feel like I didn't realize how much I loved this book until I was nearly done with it. I couldn't put it down. From the second I started reading yesterday, I hated not being able to read it nonstop to the end. I woke up and read a little before I went to work, read through my hour lunch, and by the time my last break at work was ending, I had finished the book and seriously wanted to weep. I was surprised by how emotional I got over it; I had to turn my back to co-workers because I really didn't feel like answering questions about why I was crying in the middle of my shift. Ha. i recieved this book from the group for love of a book for an honest review. Wow. That is the only word to describe this book. It had my emotions on a roller coaster ride. This is the story of Violet. She is dealing with a lot. She just moved to her Gran's house. Her mother is depressed because her father left them and is happy with his new girlfriend. And she feels guilty for enjoying any part of her life outside of her sister Rose. She has way too much on her for a senior in high school. She makes friends with Sally and Marcus, no matter how hard she tries to push them Wow. That is the only word to describe this book. It had my emotions on a roller coaster ride. This is the story of Violet. She is dealing with a lot. She just moved to her Gran's house. Her mother is depressed because her father left them and is happy with his new girlfriend. And she feels guilty for enjoying any part of her life outside of her sister Rose. She has way too much on her for a senior in high school. She makes friends with Sally and Marcus, no matter how hard she tries to push them away. But the person that really makes an impact on her life is Carter. They start out their relationship not being able to stand each. But slowly they start to understand each other and a friendship forms that blossoms into much more. Violet has to learn how to be happy in her life. This was such a heart warming and heart breaking story. I had mixed emotions for the characters all the way through. At first I didn't like Violet. I thought she was a brat. But as the story progressed I understood her and felt bad for her. Her family made me upset because of the pressure they put on her. But I also learned to understand them as well. And I went from thinking that Carter was a jerk to falling head over heels for him. The author did an amazing job on swaying the readers opinion and keeping the reader entertained and surprised all the way through. OMG this book gives me so much feelings! From depress to happy and then to excited and back to sad, ugh. But anyway, I love it! This book is actually depressing to read for me especially Rose's parts, every time. I kind of started to hate Rose and said to myself I will hate Rose officially at the end of the book but... yeah. I feel so sorry for Violet throughout the story. It's not fair for her. Every time she starts to feel happy, Rose will be there trying to turn her to feel sad and guilty again OMG this book gives me so much feelings! From depress to happy and then to excited and back to sad, ugh. But anyway, I love it! I feel so sorry for Violet throughout the story. It's not fair for her. Every time she starts to feel happy, Rose will be there trying to turn her to feel sad and guilty again. I feel so angry every time Violet thinks she's betraying Rose when she feels happy. I understand Rose needs her, but Violet needs Rose too to support her. That's what sisters do, support each other, don't make them sad and cheer up for each other. I hate that Violet doesn't think of herself, all she want is Rose to be happy. She even gave up on her passion for that. I hate that she pushes Sally away when she's trying to make her feel better, along with Marcus. I hated Carter too, in the beginning. I really did because Violet never did anything to him yet he was being so mean to her. But then I start to like him when he opens up about himself. That way, I know him. I like this book because there is always something going on. It's not boring, really. It actually makes me keep turning the pages, even when I was sleepy, I still keep reading it. And of course! THAT PLOT TWIST, THOUGH!! I didn't expect it at first. Heck, I thought everything was normal from the beginning! I feel so stupid not to expect it LOL. I actually would give it 5 stars but there is something unsatisfying about the format which made me read the paragraphs over again. Maybe because I was confuse but all I know is this book is a good read, nice plot. I would really recommend it to those who love YA, Contemporary and Romance. This was very much a coming of age story where the main character was helping others get over certain issues leaving for her to end up dealing with her own. I loved the character development in this story and the premise of the book. This book did touch on certain subjects such as depression, death and a little bit in alcoholism. The main character, Violet, was easily relatable which was a great thing in a story, or at least in my opinion. She is very much a giver as she was helping her sister and o This was very much a coming of age story where the main character was helping others get over certain issues leaving for her to end up dealing with her own. She is very much a giver as she was helping her sister and others while somewhat putting her dreams and goals in the back burner. The book was perfectly and elegantly written. Like I no joke could have just kept on reading it again and again and again. That is how elegant the book was and enjoyable. However some of the events in this story may hit close to home depending on what you have experienced in your life. The author was able to make you feel for the characters and the story in general which is something that you need in your book. The message was clearly shown and presented through the book but you do have to pay attention and not just skim through the book (Yes I am looking at some of you). You will see yourself cheering for Violet and Carter throughout the book, and if you don't do you have no soul!?!!? The character like I said were very real. Almost like I could touch them. In conclusion this is defniatlly a book that I would suggest to any YA lover or NA lover or Contemporary lover. I was given a copy of this book for a review. Violet Hayes has spent her life living in her Sister Rose's Shadow. She needs to make Rose happy, she's not suppose to sing or play guitar, in order to survive the year living with her Grandmother in Wandora Tennessee. Violet sees Rose as the apple of her Mothers eye, whereas she is only tolerated. Violet does her best to avoid Sally, and soon she meets a boy named Marcus. Violet refuses to go to Church, and feels that believing in a higher power did her Grandmother, and sister no good. Finally one Sunday Violet agrees to go to church with her Gram. Her Sister Rose suffers from panic attacks, and her Mother battles depression. At a party Violet gets drunk, and stories get twisted making people think she went to far with Carter. Violet is relieved when her Grandmother convinces her Mother to get the help she needed. Can Violet follow her own rules for surviving the year at her Grandmother's? A touching tale of family, loss, mental illness, and grief. The characters feel like real people, whether they're adults or teens and the plot is very well developed. The author's style is very easy to read and this book would make for a good one for a book club or to read by yourself. Loved this book! It had a twist that I definitely didn’t see coming! Thanks to NetGalley for providing me with a copy of this book in exchange for an honest review. This book made cry, made me smile, and in the end, it left me absolutely crushed. When I started reading I thought that this story sounded really familiar. It was way too similar to that Sandra Bullock film Hope Floats, only instead of a little girl, now is two teenage daughters. Luckily, I kept reading, because this book proved to be so much more than that (and something else completely). The main chara Thanks to NetGalley for providing me with a copy of this book in exchange for an honest review. The main character, Violet, was quite insufferable at the beginning. She was a brooding teenager with all the brooding teenager accessories. You name it: a liking for obscure, unpopular bands, a cynic attitude, and a horrible rudeness directed towards anyone who dared being nice to her. However, as I was devouring the book, two things happened. One, she started to grow out of it; and two, the book slowly became sort of self-aware in a very subtle but still quite evident way. It a was rough but delicate insight into mental illnesses and how they take a toll on personal bounds. A wonderful book that I just couldn’t put down. Violet is struggling to come to terms with her dad leaving her mum, and having to deal with her mum and sister's depression. After moving to her famous grandma's house she is finding it even harder to keep a balance between having her own happiness and being there for her mum and sister. With an unexpected twist, this book is definitely worth a read. I absolutely loved this book, it even reduced me to tears and that hasn't h I received a free e-copy of this book in exchange for an honest review. I absolutely loved this book, it even reduced me to tears and that hasn't happened in a very long time. So for that Birdie Blake, I applaud you. This story is so beautifully written that I was drawn in from the first page and finished it within a day. Wow! This book was fantastic! The characters were well developed and the story did a great job representing and dealing with depression. There are very few authors that can so eloquently write about tough subjects like depression and suicide. Holy crap that plot twist came outta no where!! You'll have to read it to find out the truth and how well Violet handles living in Tennessee. This book had me bawling at the end! I highly recommend this book! It deals a lot with depression in the family and how it hangs over and affects the whole family. Bridie Blake lives, daydreams and writes in Melbourne, Australia. She’s happiest at her computer, coffee in hand, Tim Tams on standby and her furry companion Poppy at her feet. When not writing she’s usually found with a book in her hand or playing with her tribe of nieces and nephews. Bridie is the author of THE JEWEL OF KAMARA, a YA Fantasy novel, and the YA contemporary novel from Evernight Teen Bridie Blake lives, daydreams and writes in Melbourne, Australia. She’s happiest at her computer, coffee in hand, Tim Tams on standby and her furry companion Poppy at her feet. When not writing she’s usually found with a book in her hand or playing with her tribe of nieces and nephews. Bridie is the author of THE JEWEL OF KAMARA, a YA Fantasy novel, and the YA contemporary novel from Evernight Teen, A DISTANT VOICE. Discover more about her at www.bridieblake.com, https://www.facebook.com/AuthorBridie... or @BridieBlake on Twitter!